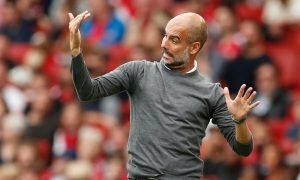 4-1-4-1: Man City's amazing XI will have Emery wishing he never took the Arsenal job | The Transfer Tavern | News, breakdown and analysis on all things football! Manchester City supporters will be expecting nothing less than the Premier League title once again after securing the Community Shield last weekend. 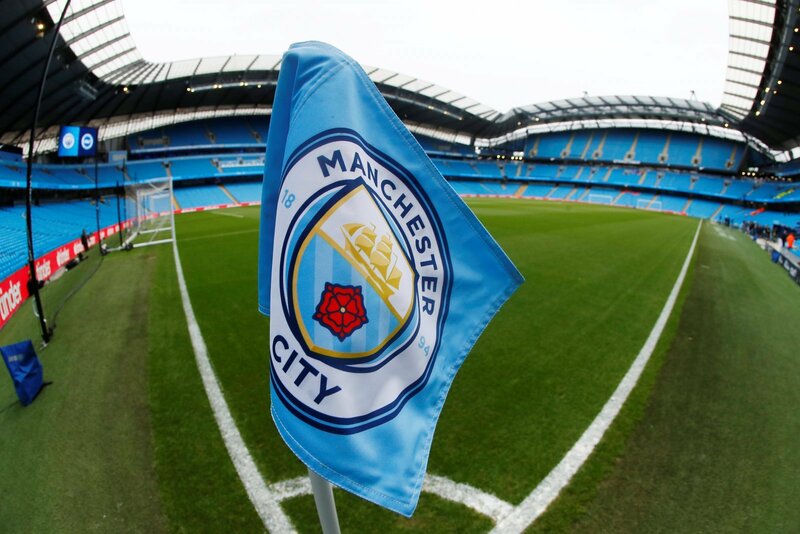 The Manchester club have strengthened this summer despite already having arguably the best squad in the whole of the English top-flight, so they are in a great position to enjoy an even better campaign this time around. However, the Citizens will travel to the Emirates to face Unai Emery’s Arsenal side on the opening day of the Premier League campaign. The Gunners have a star-studded squad and made it even strong this summer, so City will have to be at their best in the English capital. Therefore, having taken Guardiola’s selections from pre-season and World Cup players into consideration, we’ve come up with a team that we think the Spaniard could line up with against Arsenal. We’ve gone with a 4-2-3-1 formation, as that is the formation that Pep Guardiola dominated with in the last campaign. This allows the wingers to make use of space out wide and provides the attacking midfielder with plenty of space to work in, while the full-backs will get forward to support the attack. Ederson will be one of the first names on the team sheet for the defending Premier League champions after an absolutely incredible campaign last time around. In defence, Kyle Walker and Benjamin Mendy will operate on either flank, while John Stones and Vincent Kompany will look to form a formidable partnership at the heart of the defence. Fernandinho will sit in front of the defence and snuff out any attacks, while David Silva operates slightly further forward as an extra midfielder that can contribute in the final third. Leroy Sane will have a point to prove after missing out on a spot in Germany’s World Cup squad, so this could be the best season yet for him in City colours. Meanwhile, Kevin De Bruyne will operate in the pocket of space behind the striker and Raheem Sterling should get the nod in the hope that he can replicate last season’s form. Lastly, Sergio Aguero should lead the line for the Citizens after grabbing a brace in the Community Shield. Manchester City fans – Thoughts?